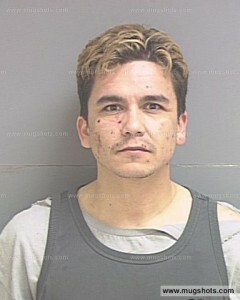 Well, it’s official – Andy Esquivel won’t be allowed to call any witnesses at his jury trial in October. In fact, Andy won’t be able to present any evidence of consequence at his trial in October, so he’s essentially screwed. On June 10th Judge Connors signed a motion to compel [PDF] filed by Prosecutor Nathan Lyon which gave Andy until May 21st to provide the prosecution with full details of all his witnesses and all evidence Andy intended to present at trial. Andy failed to comply. The list Andy did provide was incomplete and the witnesses all found to be irrelevant to the case. Andy’s evidence was likewise found to be completely irrelevant to the charges against him. The motion to compel signed by Judge Connors EXPLICITLY states that any evidence not provided to the prosecution by May 21st will not be permitted at trial! May 21st was over a month ago, so Andy has missed his deadline to present any evidence which could support his defense. Since nothing that Andy has provided up until now will help him at trial in October, Andy basically won’t have a defense in October. (No lawyer) + (No defense) + (No evidence) + (Refuses to admit he did anything wrong or to pay his victims their money back) = Andy Esquivel is definitely on his way to prison in October. Good luck with that, Andy! Andy’s best two options are literally 1) plead guilty or 2) just frickin’ bail, disappear off the face of the Earth. But something tells me he’s not smart enough to do either, especially the second one, very effectively.